We're celebrating CAM every day! Today's photo comes from the CCA headquarters in Dallas, TX. We love and appreciate our staff so much and they couldn't be cuter modeling all three colors of our short-sleeve Beyond The Face t-shirts. 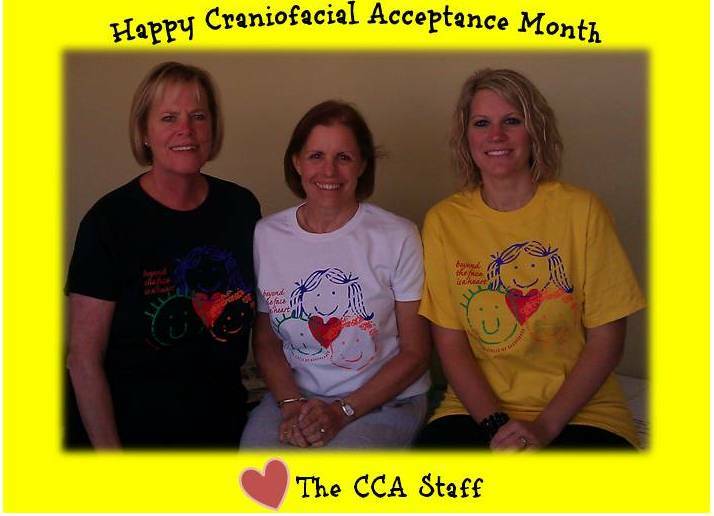 Thank You, Char, Jill, & Annie, for your service and dedication to our families and CCA's mission. Help us turn the CCAKidsBlog.org YELLOW! Want to submit a CAM photo? Send in your CAM photos to ccakids@gmail.com. Your submission is permission to post your photo on the blog.